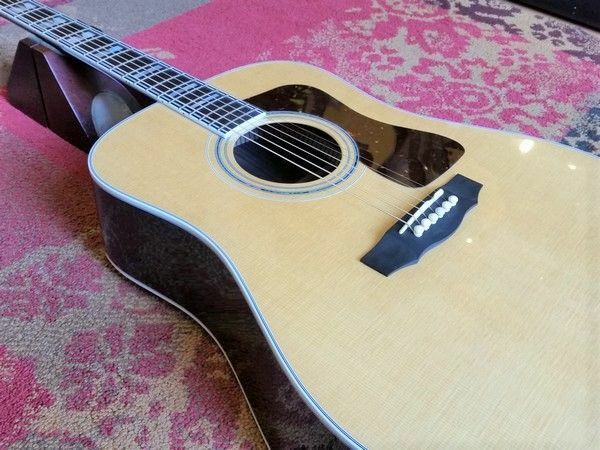 The NEW 2017 Guild USA dreadnought Flagship. 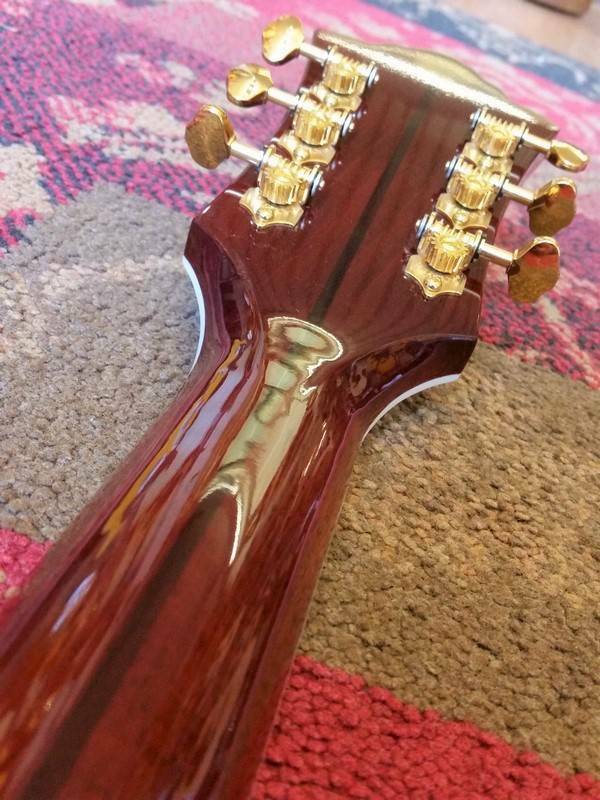 AAA Sitka Spruce top & Rosewood back and sides. Ebony fingerboard & bridge. Adirondack (Red) Spruce bracings. 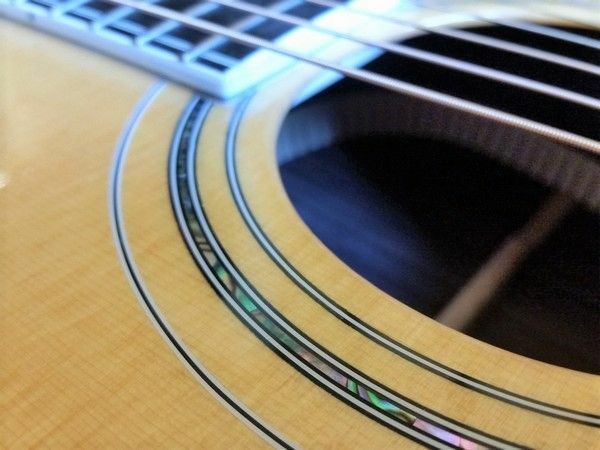 The D-55 showcases Guild’s most recognizable headstock which is fully bound and features the Guild “Peak and Shield” inlay combination over a figured ebony overlay. 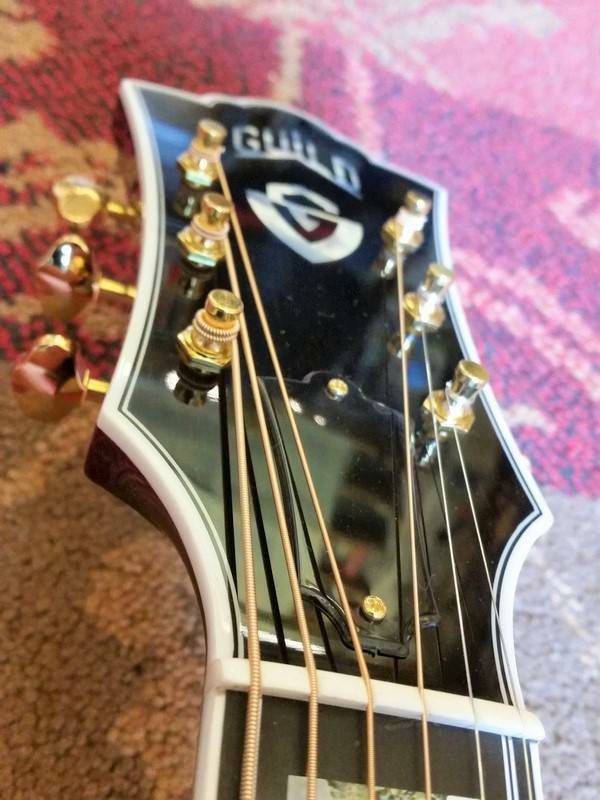 The matching ebony fingerboard is also fully bound and inlayed with Guild’s iconic abalone/pearl “V-Blocks” and multi-line “railroad track” purfling on the bass and treble sides. The D-55’s fingerboard is set on an all-mahogany neck with beautiful walnut center seam running the length of the heel to headstock.